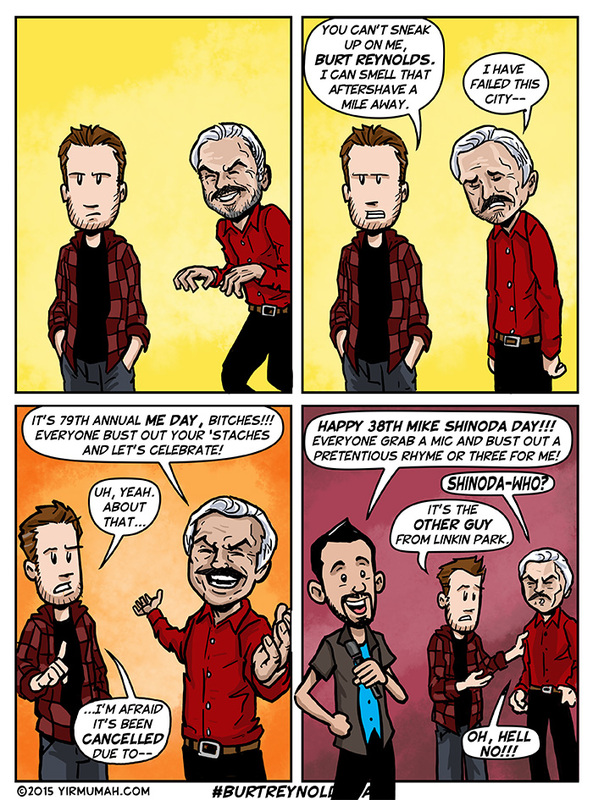 Happy 79th Annual Burt Reynolds Day / 38th Mike Shinoda Day! Hi there. Just a little something. My gift to you for Burt Reynolds Day. Sure there are many other celebrities who share Burt’s birthday. Taylor Lautner, Sarah Palin, Leslie Nielsen… but it was Mike Shinoda (the other guy from Linkin Park) who won the Yirmumah lottery. Sorry Mike. In case you didn’t know, and you probably didn’t… Mike also has a line of nice watches now. No, I didn’t know that either. I found it on his blog, but there you go! Now yir famous Mike Shinoda. Can you believe old Burt is 79 years old? We don’t have much to hang our hat on here at Yirmumah, but we are proud that we started this holiday many many moons ago and it’s still carried on in the dark recesses of the internet. Happy Burt Reynolds Day everyone. It’s a holiday that we created back in 2003 to honor the legendary film star and president of Manistan. To this day some people still dress up as a Burt Reynolds character and watch movies and act like assholes for 24 hours. 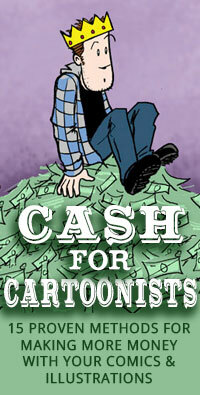 Check out previous Burt Reynolds Day comics in our archives. The 71st Annual Burt Reynolds Day was a great success. We actually heard many stories from our readers who celebrated the day by renting a Burt Reynolds movie and wearing fake mustaches. The internet is officially WEIRD. Burt Reynolds Day 2005 was one to remember. We even got a bunch of other webcomics and people in on the mix and created an underground holiday online. Check out the old landing page for the 7oth Annual Burt Reynolds Day site. Back in 2003 we invented “BURT REYNOLDS DAY” and passed it around as a goof online. It caught on in certain circles and college campuses as a goofy thing to do. But we take our made up holiday very seriously around these parts. BURT REYNOLDS FOREVER! Anyways… yes. We invented BURT REYNOLDS DAY… you’re welcome.